Do you remember the first Polyversal Kickstarter campaign? The one that got cancelled? As part of that campaign, a number of large buildings were produced by a company called The Phalanx Consortium. 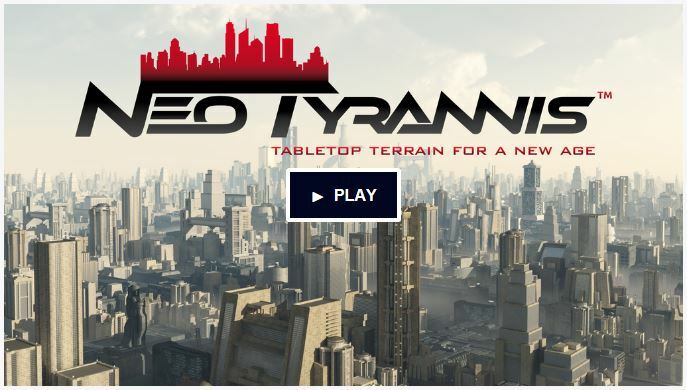 Well, I’m pleased to say that The Phalanx Consortium have now launched their own Kickstarter project: Neo Tyrannis – to bring these buildings to market. These are truly epic scale buildings, produced in foam resin to reduce weight. We are used to buildings on a 6mm/10mm sci-fi board that are quite large, but not any bigger than a ‘normal’ 28mm building. By start contrast, these models are really big, thus giving the table that far-future look of epic skyscrapers that you see in so many pieces of artwork. These buildings range in price from $40 – $70 (comparable in price with the 4Ground 10mm Jesserai range). The Kickstarter offers a flexible pledge level, which means that you pledge a particular amount, and are then able to choose any buildings up to that level, allowing you to order what you want. If you order all the buildings currently available, it will add up to $310. The project has a funding goal of $15,900 and is currently just over 25% funded. The project runs until 14:00 BST on the 22nd September 2016.